Aestas Pharma Inc.is a pioneering pre-clinical stage biopharmaceutical company dedicated to the development of novel and diagnostic imaging and therapeutic agents to enable the early detection and reversal of severely debilitating Alzheimer’s diseases (AD) and Parkinson’s disease (PD). In marked contrast to competitor approaches, including current development stage drugs, Aestas is focused on targeting the very earliest stages of AD and PD, when clinical signs are not yet pronounced. Importantly, the company’s disease modifying AD therapeutic candidate may be combined with a biomarker for the early detection of AD pathology, in advance of significant plaque formation or neuronal loss. Importantly, the company’s lead candidate, an aberrant Cdk5 PET imaging agent (AP-251) is expected to provide a first in class PET imaging tool for the early detection of AD/PD pathology, in advance of significant plaque formation or neuronal loss. Derived from a patented NIH invention, the company’s lead diagnostic biomarker candidate (AP-251) targets a disease specific aberrant Cdk5 complex, which is considered an “upstream” event in the development of the three best known pathways for AD (Tau, amyloid, and neuroinflammatory) with a clearly differentiated mechanistic advantage offering multiple targets within amyloid, tau, mitochondrial / autophagy dysfunction, oxidative stress, and the neuro-inflammatory cascade, implicated in AD and PD pathogenesis. The company’s early detection AD biomarker candidate (AP-251) is a PET tracer with the capability to detect AD pathology earlier than existing biomarkers and with the potential for development as a companion diagnostic agent (i.e., as a surrogate endpoint biomarker). Zahed Subhan, Ph.D., MBA, JD, has had over 28 years of extensive experience in guiding pre-clinical and clinical development studies, and gaining regulatory approvals from FDA and EMA agenciesfor CNS and cancer indications (both pharmaceutical and diagnostic products), as well as experience in executing major pharmaceutical product launches with multinational companies (GlaxoSmithKline, Merck & Co, Sanofi-Aventis, DuPont Pharmaceuticals). Dr. Subhan has also secured seed and venture capital funding for early stage biotechnology companies as Founder and Chief Executive Officer. As Chief Business Officer, Dr. Subhan also contributed to the $100MM IPO (NASDAQ) of a Life Sciences (Gemini Genomics) Company and its subsequent sale to Sequenom Inc for $220MM. Dr Subhan holds a PhD in Psychopharmacology from the University of Leeds, UK, an MBA from the University of Bradford, UK and a JD (Law) degree from the University of London. Dr. Subhan has over 40 publications, including 32 articles in leading Neuroscience, Clinical Pharmacology and Psychopharmacology journals. 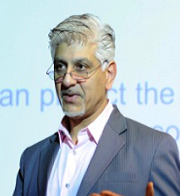 Dr. Subhan is also a Professor in Entrepreneurship and Innovation at Drexel University based in Philadelphia, USA. Sudarshan Upadhya, Ph.D., MBA,is a neuroscientist with 21 years of experience in the biomedical research underlying neurodegenerative disorders. Dr. Upadhya ’s research expertise is on molecular mechanism underlying ubiquitin-proteasome mediated synaptic plasticity during long-term memory formation, molecular mechanisms underlying Alzheimer’s and Parkinson diseases, and drug metabolism by brain Cytochrome P450. Dr. Upadhya has published 18 peer-reviewed international review and original research papers, 24 scientific abstracts in diverse areas such as biochemistry, pharmacology, drug metabolism, and neuroscience. 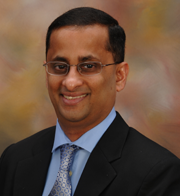 Dr. Upadhya is a former CSO at Ardeal Pharma, Inc., a former NC Biotechnology Center Industry Fellow at PharmAgra Labs and a former Assistant Professor at Wake Forest University School of Medicine. Dr. Upadhya holds a Doctoral degree in Neurochemistry from the National Institute of Mental Health and Neurosciences (India) and an MBA degree from Wake Forest University School of Business (USA).Dr. Upadhya is also an adjunct faculty in the Department of Internal Medicine, Section on Gerontology and Geriatric Medicine at the Wake Forest School of Medicine. Jeffrey A. Handler, Ph.D., DABT, MBA, is a Board certified toxicologist with broad experience in many areas of pharmaceutical and medical device research and development in multiple therapeutic areas, including antibacterial, therapeutic and aesthetic dermatology, stroke, Alzheimer’s disease, diabetes, urinary incontinence and rheumatoid arthritis, obtained over more than 27 years in the pharmaceutical business. He has extensive leadership and management skills within pharmaceutical R&D ranging from drug discovery through development and support of commercialized products and a track record of successful collaboration with colleagues in both scientific and commercial business areas. He has a Ph.D. in Pharmacology (1987) from the University of North Carolina at Chapel Hill and an MBA (2005) from Villanova University, Villanova, PA.
Dr. Suzanne Craft, PhD, is a Professor of Internal Medicine; Research Director of the J. Paul Sticht Center on Aging; and Co-director of the Roena B. Kulynych Center for Memory and Cognition Research at Wake Forest Baptist Health. Dr. 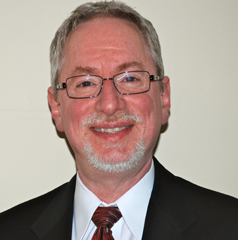 Craft is an internationally recognized Alzheimer ’s disease expert and has over 35 years of experience in the role of insulin metabolism in AD and intranasal insulin based AD therapeutics. Dr. Craft is recognized as a leading authority on the role of insulin metabolism in Alzheimer’s disease and aging. Dr. Craft authored 7 Book chapters and over 160 research publications in leading Neuroscience, Clinical Neuropsychology, Neuroradiology, Neurology, Psychiatry, Aging, Diabetes, Neuroendocrinology, and Alzheimer’s disease research journals. Her research project on multi-center study investigating the use of intranasal insulin in individuals with mild cognitive impairment was one of two projects selected by the NIH as part of the National Alzheimer’s Plan, a federal initiative to find an effective way to prevent or treat Alzheimer’s by 2025. Dr. Craft’s honors and awards include a MERIT Award from the National Institute on Aging and Zenith Award from the Alzheimer’s Association. In addition to her extensive research and numerous publications, Dr. Craft serves on a number of editorial boards and national review panels and committees. Dr. Craft also served as a consultant for many pharmaceutical companies. Dr. Craft holds a PhD in Clinical Psychology from University of Texas and completed her Clinical Internship in Neuropsychology from Boston University School of Medicine and Harvard Medical School. Dr. Harish Pant, PhD, is a Senior Investigator and Chief of the Cytoskeleton Protein Regulation section at National Institute of Neurological Disorders and Stroke (NINDS)/National Institute of Health. Dr. Pant is inventor of the aberrant Cdk5 technology. Dr. Pant has over 46 years of experience in the role of post-translational modifications of cytoskeleton proteins and kinase cascades during neurodegenerative disorders. The major focus of his laboratory has been to study the mechanisms of topographic regulation of neuronal cytoskeletal proteins regulation by phosphorylation and neurodegeneration. As part of this goal, Dr. Pant’s laboratory is working on to study the expression, regulation and role of neuronal Cdk5 in nerve cell function. Dr. Pant has published more than 90 articles on Cdk5, aberrant Cdk5, neurofilaments, cytoskeletal, MAP kinase, and neurodegenerative disorders. Dr. Pant received his PhD degree in Physics from Agra University (India). His postdoctoral studies were conducted on the mechanisms of electron and ion transport in model membrane systems at the Department of Biophysics at Michigan State University. Dr. Kaycee M. Sink, MD, MAS, is a Professor of Geriatrics and Gerontology; and Director of the Kulynych Memory Assessment Clinic at Wake Forest Baptist Medical Center. Dr. Sink is a geriatrician with expertise in Alzheimer’s Disease and other dementias. In addition to leading the Memory Assessment Clinic, she is a Co-Investigator on multiple NIH funded studies involving aspects of prevention, diagnosis, and treatment of Alzheimer’s and other dementias. Dr. Sink’s work on risk factors for cognitive impairment and dementia has been presented nationally and internationally. Dr. Sink holds a MD in Internal Medicine from the University of California, San Francisco (UCSF), a Clinical Fellowship in Geriatric Medicine, and a MAS in clinical research at UCSF. Dr. Zibo Li PhD, is an Associate Professor in the Department of Radiology, Director of Cyclotron and Radiochemistry Program, Director of Biomedical Research Imaging Center at UNC-Chapel Hill. Dr. Li is one of the world’s leading experts in peptide based PET imaging agent discovery and development. Dr. Li has over 15 years of experience working in the field of clinically translatable radiolabeling of biomolecules including peptides and targeted molecular imaging techniques for non-invasive detection of cancer and its metastasis. Dr. Li’s research at the Biomedical Research Imaging Center (BRIC) focuses on the development and validation of novel radiolabeling methods and multimodality molecular imaging probes for various diseases, including cancer and neuro-disease. Dr. Li’s laboratory is particularly experienced in peptide labeling chemistry using fluorine-18 (18F) and PET imaging using various prosthetic groups. He has published more than 110 scientific articles, 10 patents, 3 book chapters, concerning the radiolabeling of peptides and molecular imaging. Dr. Li holds a PhD in Chemistry from the University of Virginia and completed post-doctoral training at Stanford University (molecular imaging program). Dr. Gang Zheng PhD, is a Professor in the Department of Medical Biophysics, Institute of Biomaterials and Biomedical Engineering at the University of Toronto. Dr. Zheng also holds additional joint positions as a Senior Scientist in the Department of Nanotechnology & Radiochemistry, and Department of Medical Imaging at University Health Network, Canada. Dr. Zheng is one of the leading experts in molecular imaging and nanomedicine research with a focus on advancing clinically translatable technology platforms to more effectively diagnose and treat cancer. Dr. Zheng’s discovery on porphysome nanotechnology opened a new frontier in cancer imaging and therapy and was named one of the “top 10 cancer breakthroughs of 2011” by the Canadian Cancer Society. Dr. Zheng has over 22 years of experience working in the field of clinically translatable molecular imaging technologies. He has published more than 135 articles in nanomedicine, molecular imaging, PET imaging, molecular beacons, nanomedicine, and phototherapy. Dr. Zheng holds a PhD in Chemistry from the State University of New York at Buffalo and completed post-doctoral training at Roswell Park Cancer Institute, Buffalo, NY (Photodynamic Therapy).